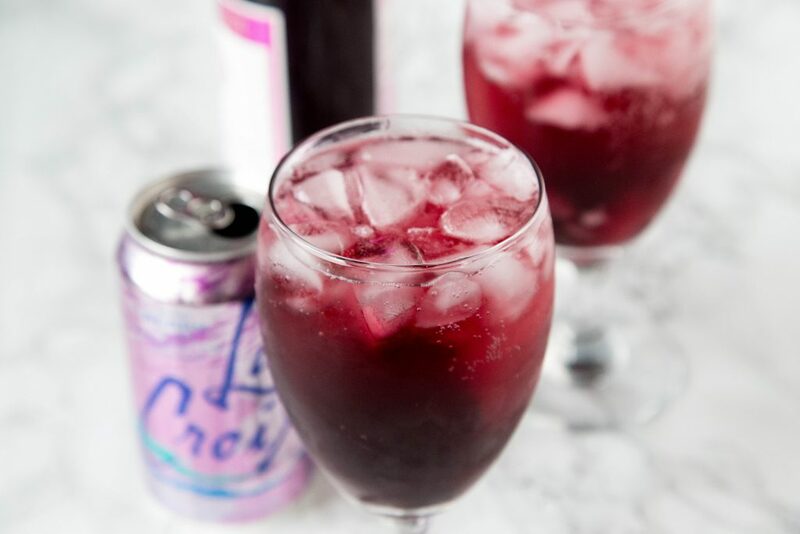 Berry Red Wine Spritzer – a fruity and refreshing cocktail that uses sweet table wine and Berry La Croix. 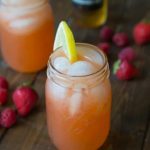 Great for sipping any time! 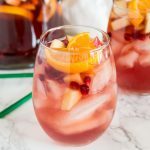 In my effort to create lots of fun cocktails this year, another wine spritzer was born! 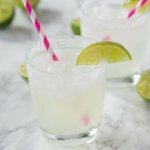 I shared a Vodka Soda recipe a few weeks ago that used La Croix. So I figured why not try it in a red wine spritzer. 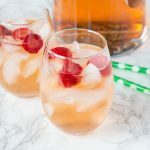 You could probably use la croix in a white wine spritzer as well….now that I am thinking about that I will have to try it and let you know! I am sure there is more than one way to make a wine spritzer, but my favorite way is half wine, half something fizzy. 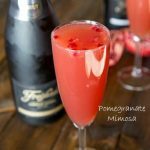 It depends on what type of wine you are using or what flavor you are going for, what the something fizzy will be. If you are going for sweet, Sprite is my favorite. Ginger ale works well too! 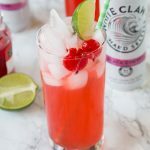 La Croix cocktails seem to be the new thing. Since La Croix pretty much has a cult like following, everyone is adding it to drinks and using it as a mixer. 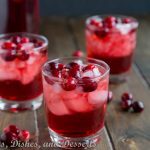 So why not do that with a red wine spritzer? 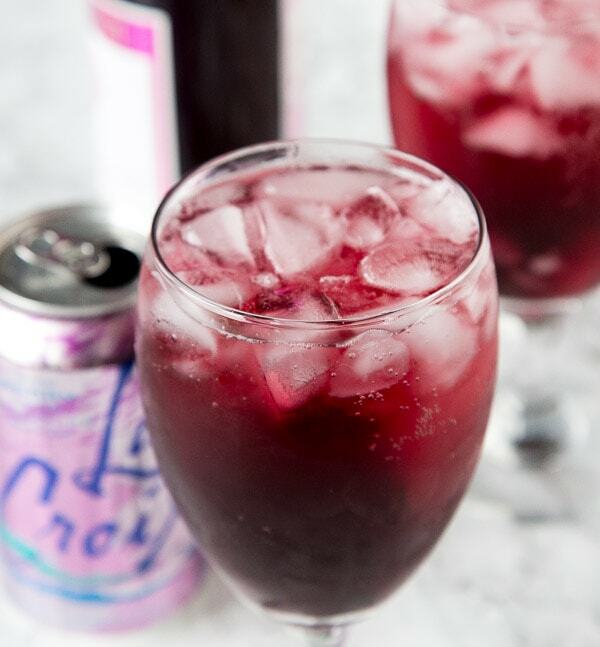 This wine spritzer uses a sweet table wine as the base, and then I added Berry flavored La Croix. So you it is fruity and fizzy. 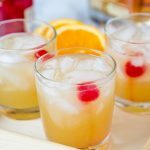 My favorite kind of cocktails! For this wine sprizter you really do want to use a sweeter wine. 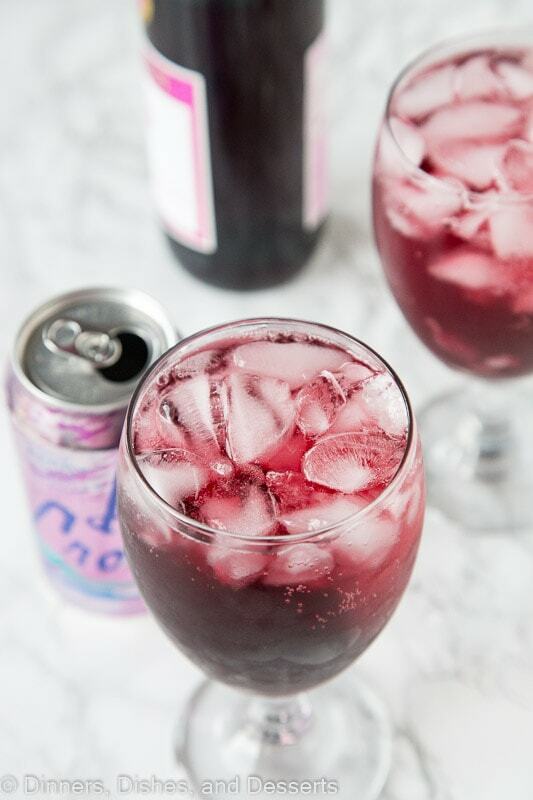 The berry soda water is slightly sweet, so if you mixed it with a merlot or something dry, it would not go well together. But with a sweeter red wine they pair nicely together. Most liquor stores have a special “table wine” section of the store. Not sure why that is what they are called, but it is. So just look for any Sweet Table Wine and you should be fine. If you can’t find it, just ask, I have found that liquor store personel are always super willing to help me find what I am looking for and come up with pairing ideas. 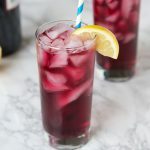 Berry Red Wine Spritzer - a fruity and refreshing cocktail that uses sweet table wine and Berry La Croix. 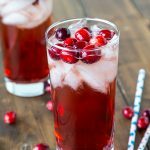 Great for sipping any time! 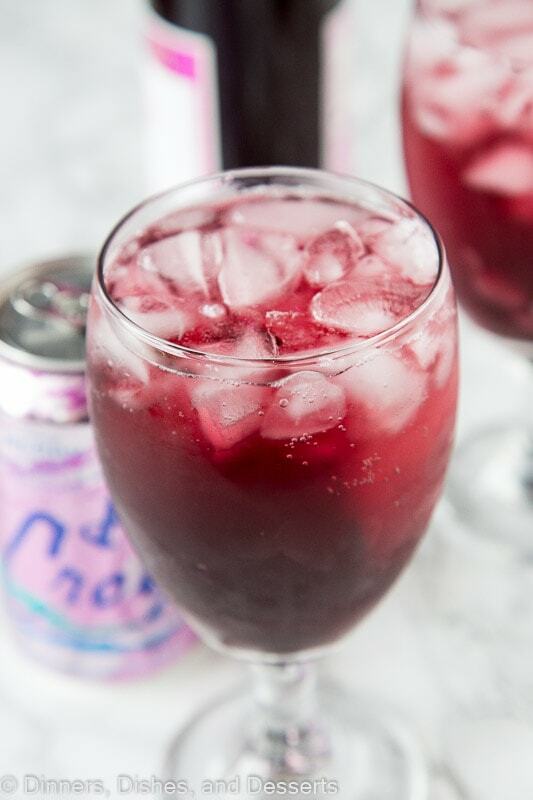 In a large pitcher mix together wine and berry La Croix. Pour over ice to serve. Or fill a glass of ice half way with wine, and top with La Croix. Well, I know what I am mixing this weekend. This will be a perfect way to unwind the weekend. 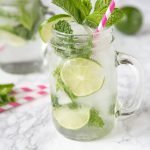 This spritzer sounds so refreshing and delicious! Love that you used La Croix here! This is so great for parties! 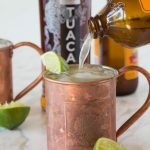 No need to keep mixing drinks when you can just have a pitcher ready to go! This is such a great way to enjoy wine during the summer too! Very refreshing! What a perfect drink to end the weekend with tonight! YES, please!! This sounds so refreshing!! Perfect for parties!